Have one of our Gift Certificates? Use the following link to register for a course using your Gift Certificate number. Or you can go to our main website: www.ArmYourself.info then click on the "Pay via Gift Certificate" tab on the left hand side. TO GO TO OUR MAIN WEBSITE, CLICK THE LINK BELOW. 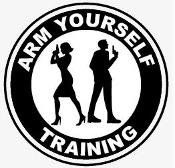 Copyright © 2012-2019 Arm Yourself Training. All rights reserved.